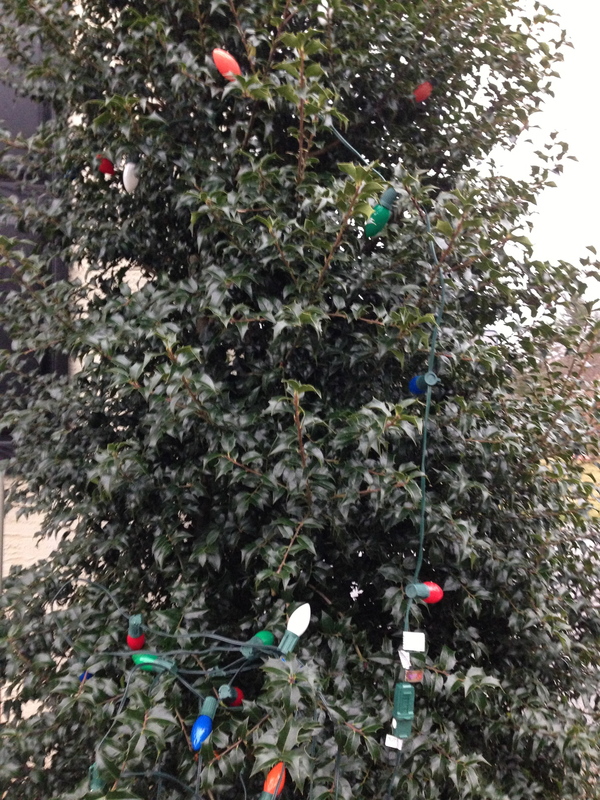 Clump #18: Take down the outdoor Christmas lights. Rereading the last post about my cursed-Mr. Magoo-like process of sending out our annual card and letter, I had to ask myself … Why? Sure, 2012 was a very sad year to look back at and try to summarize, but I think a hidden cause for the almost-endless delay was that I mentioned this blog in our newsletter. The Christmas card address list represented a wider circle of family and friends, and possible readers, than the small group to whom I’d previously been confessing my shortcomings. Everyone complains about poor organizational skills, but I’m providing graphic — and humiliating — proof. Too much exposure! My older daughter has been giving me moral support lately by comparing learning how to blog with learning how to drive a stick-shift car … a very good analogy. Indeed, with practice and help from many patient souls, the times I work on this blog and feel the urge to throw myself on the floor and cry are becoming less and less frequent. 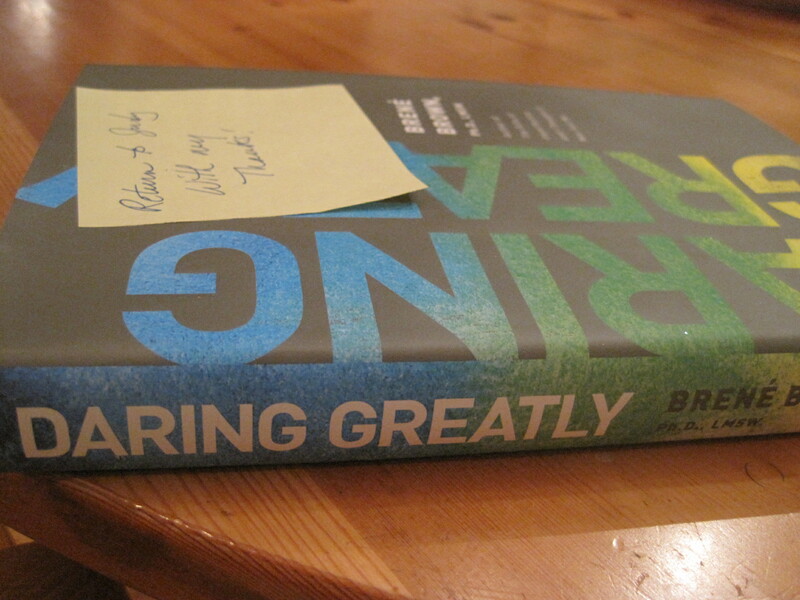 And also closely followed by a friend returning the book: Daring Greatly, By Brene Brown. Well O.K., jumper cables sparking! I was visiting my mom in Lancaster County on an unseasonably warm day this week, enjoying the drive through beautiful Amish farmland. At one point, out of the corner of my eye, I thought I saw a herd of black cows crowded on a small, covered farmhouse porch. Huh?? It was actually a laundry-load of black Amish clothing hung up to try to dry under the awning, moving in the breeze and just barely out of the drizzly-rain. Something about the determination of that Amish farmwife, getting the job done no matter the difficulty or reasonable excuse, inspired me to get our Christmas lights taken down. 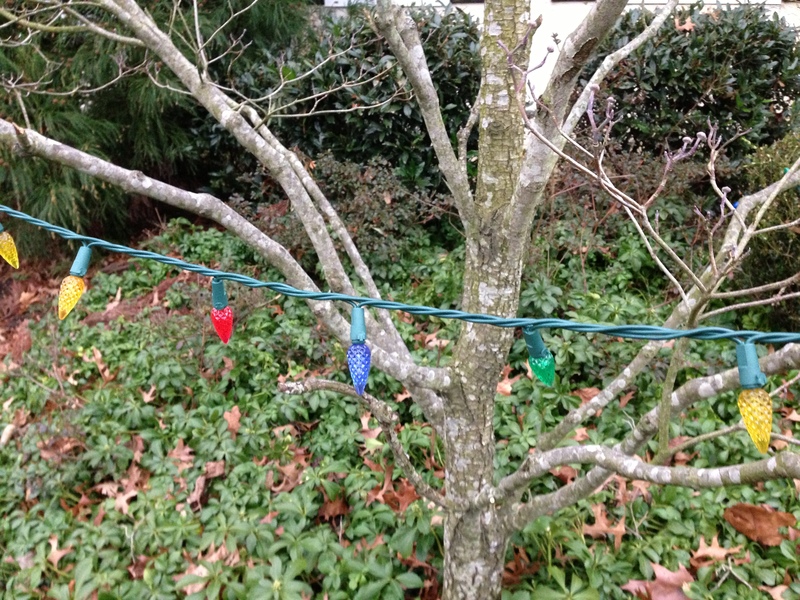 The rain came down harder as I untangled the lights, but I didn’t mind. 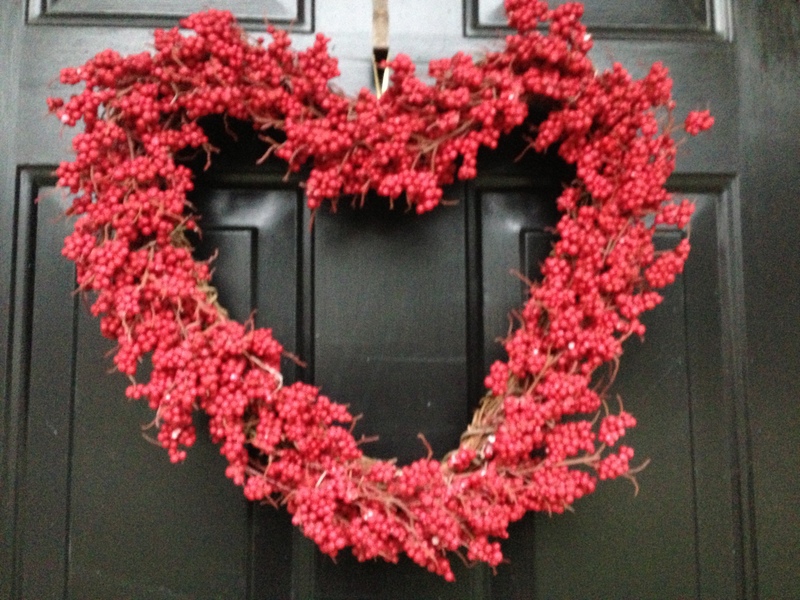 I was putting up a Valentine’s wreath, after all, and the two holidays were colliding. And such a beautiful heart you have, dear Judy…your courage inspires me…thank you for sharing your Light with us all. 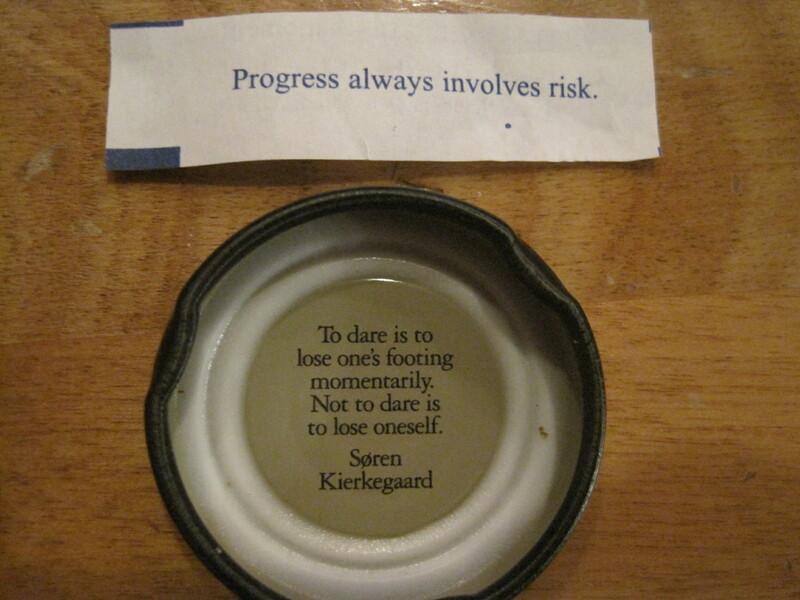 Thank you for the encouragement … it means so much to me!